Reference: International Journal of Microsimulation. Vol. 8(1):67-96. Alain Belanger joined the JRC-IIASA Centre of Expertise on Population and Migration as an Associate Research Scholar in 2016. 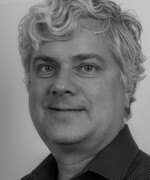 He is also professor of demography at Quebec’s Institut National de la Recherche Scientifique (INRS-Urbanisation Culture Société) in Montréal. He graduated from the University of Montréal where he received his BA in History and MSc in Demography and from the University of Colorado where he received his PhD in Geography. Prior to his appointment with INRS in 2007, he worked 17 years at Statistics Canada where he held the positions of Coordinator of research and analysis in Demography Division and Assistant-Director with the Census Subject Matter Program. He has been elected and served as Vice-President (2012-2014) and President of the Canadian Population Association (2014-2016).